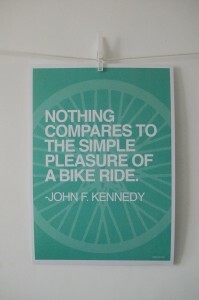 A friend sent me a link to some really cool cycling related prints, one of which really speaks to me. 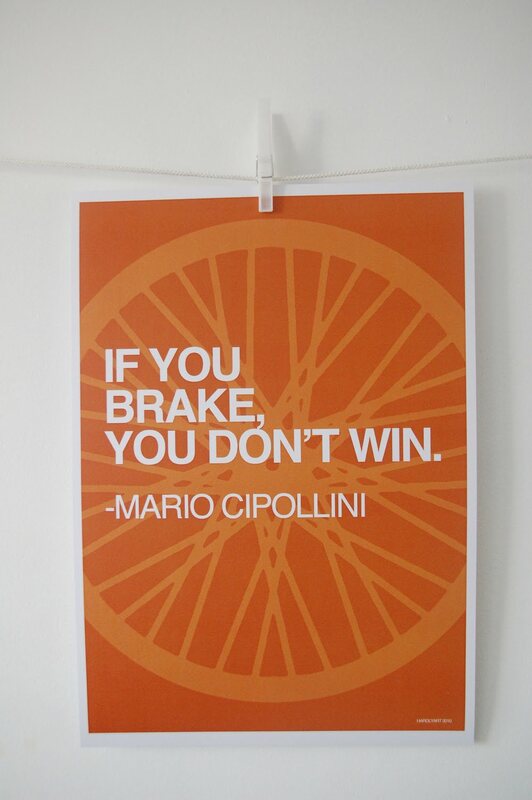 Part of me wonders if this qualifies as art – it’s a picture of a wheel with a quote over it. But that’s graphic “art” for yah. Anyways, here are the prints. 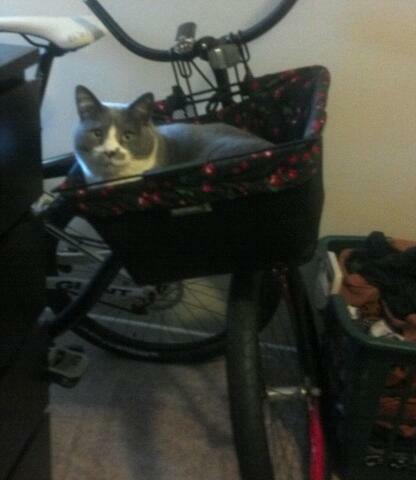 If you love ’em, you can buy them here. It's true if you work hard at getting faster. 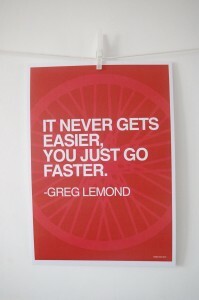 Or perhaps this is a statement about life in general, which NEVER gets easier and keeps slipping away faster. How depressing. This sign was apparently made for me. 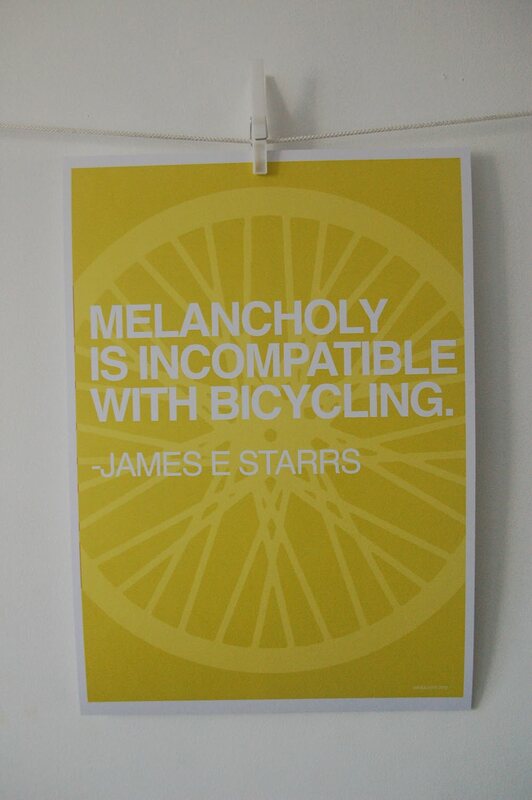 I'm very melancholy right now and therefore haven't been biking. 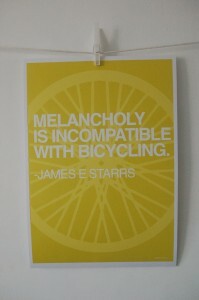 Or maybe I'm melancholy BECAUSE I haven't been biking!? Oh noooz! Conundrum! 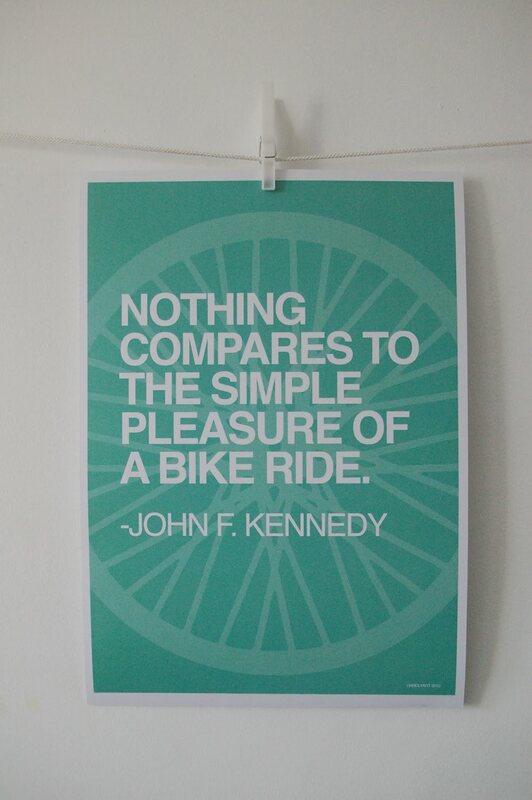 I disagree with this one. 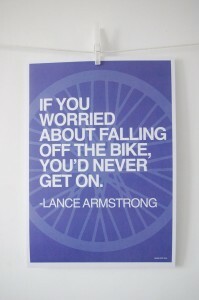 That's like saying 'If you look where you leap, you'll never get there'. 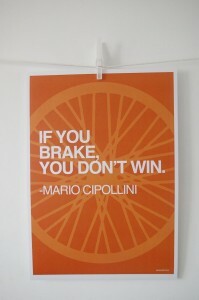 Knowing how and when to brake is critical to winning. 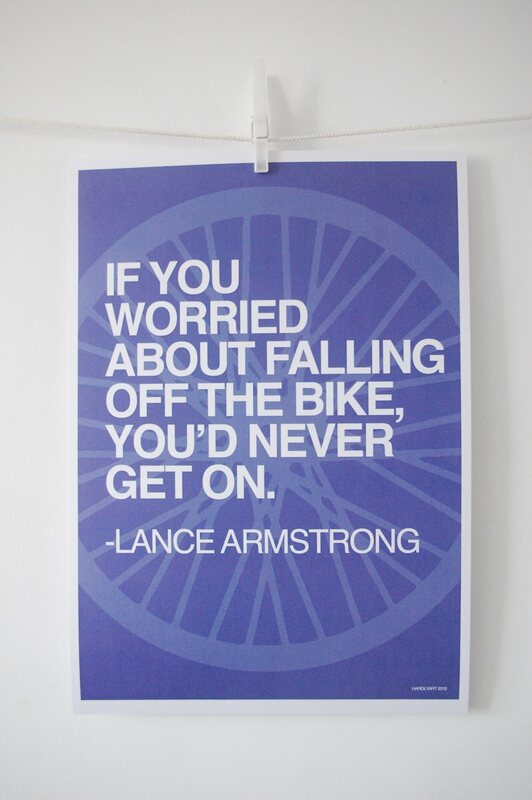 Unless you don't unclip your pedal in time and go crashing into the pavement. Post what your comments would be for these! 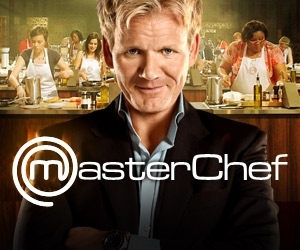 September 23, 2010 in Uncategorized. Don’t be melancholy. We luvs ya. Huggs.